About 42 million people nationwide receive federal welfare benefits under the Supplemental Nutrition Assistance Program. Some SNAP recipients—able-bodied adults without dependents, commonly called "ABAWDs"—are required under law to work at least 20 hours a week, or spend equivalent time in education and training programs, in order to continue receiving SNAP benefits. If an ABAWD fails to meet these requirements for three months, they lose their benefits. This produces some strange situations in the Californian counties where SNAP work requirements are waived for the next year. Unemployment rates in some of the work-free counties are shockingly low—as low as 2.7 percent in Marin County. Indeed, some of the counties have unemployment rates lower than those in the three non-waived counties. And just two of the waived counties actually have an unemployment rate over 10 percent—the absolute threshold that qualifies an area for waiving. All of this indicates that many Californian ABAWDs—78 percent of whom do not work—are not stymied by a weak economy, but rather are being protected from work requirements for some other reason. 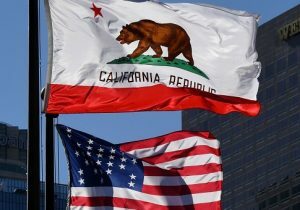 California took advantage of three features of the federal regulations governing waivers. First, states are allowed to combine contiguous areas for purposes of calculating the unemployment rate to be compared with the national rate. For example, if within two contiguous counties of the same population one has an unemployment rate of 5 percent, and the other has an unemployment rate of 15 percent, the state could combine those two for an average unemployment rate of 10 percent, thus exempting both counties from work requirements. Second, federal regulations stipulate that state agencies get to set the two-year period that is averaged to determine a contiguous area's unemployment rate. This means that a state could select the two-year period with the highest average unemployment rate, increasing its chance of getting a work-requirement waiver. And third, the two-year period can't begin earlier than the period the federal government uses to assess which areas of the country have an unemployment rate 20 percent higher than the national average. The new 24-month period is set by the Department of Labor every fiscal year, beginning Oct. 1. California responded in three ways to maximize its likelihood of getting a waiver. First, it sought a waiver for a 55-county contiguous area that maximized the average unemployment rate in that area. Second, it selected a period of time—April 2015 to March 2017—in which the unemployment rate in that area was exactly 20 percent higher than the national unemployment rate. And third, it carefully filed its waiver application in September of 2017, which meant that it was allowed to use data from 2015. This meant that the 55 counties had a cumulative unemployment rate of 5.9 percent for the two-year period, compared with a 4.95 percent rate for the same period nationwide. This, USDA concluded, was enough to garner a work waiver. This delicate balance shows how California massaged statistics to produce a high unemployment rate amid huge prosperity. For example, had California filed in October, it would have been required to use a range beginning no earlier than January 2016. If it had done this—by virtue of its steadily declining unemployment rate, as depicted above—then the unemployment rate in its defined contiguous area could not have been 20 percent higher than the national one. Assuming, for example, that California had selected the range January 2016 to January 2018, the nationwide rate would be 4.61 percent, while the unemployment rate across the 55 counties would be 5.3 percent, just 14 percent higher. The consequence of all this is that, in the middle of a booming economy, hundreds of thousands of able-bodied, childless Californians won't be obliged to work. Many will opt not to. The key loophole California took advantage of—the combination of contiguous areas—is addressed in the House of Representative's version of the 2018 farm bill. The bill stipulates that, in general, waivers can only be sought for individual counties or the whole state, not for contiguous areas. The farm bill has passed the House and, in a different form, the Senate, but now must go through a reconciliation process that will turn in part on major differences in how SNAP is administered. The California Department of Social Services did not respond to a request for comment for this article.